Totally appropriate team for you, one of the toughest women I've ever known! 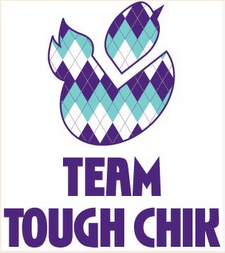 I am a big fan of Tough Chik. Which reminds me, I need to contact Shannon and see if I can park in front of her house one of these days so I can ride Santiago Canyon. Love it!! Very cool idea.